Whats the Lily Drone all about? On the subject of Aerial Drones and new technology, a new product has caught my eye. Over the last few weeks, there’s been a lot of buzz about this product. On social media, I’ve had friends and family tag me on a link for an upcoming new drone, and I’ve seen a lot of excitement among people who don’t do professional video. With all the buzz I thought, well, why not take a peak. The link took me to its website. Interestingly enough, the front page contained an image of this carefully designed product. A small round body, four legs with propellers attached, and an endearing little face. The name of the product: the Lily Drone. 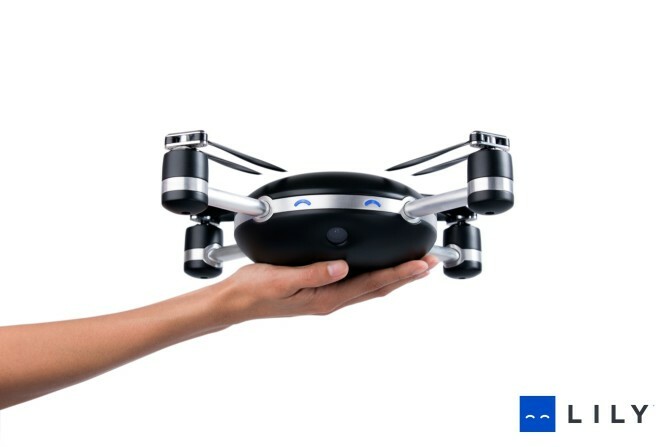 According to the website, “The Lily Drone is the world’s first throw-and-shoot camera … Lily is waterproof, ultra-compact, and shoots HD pictures and videos.” Sounds interesting, right? A waterproof HD camera that you throw in the air and it hovers over you as you hike, skateboard, snowboard, or surf? Wow, so innovative! Okay, let’s take a step back and think about this, shall we? Alright, we know this drone is waterproof, weatherproof, has awesome new features, and no remote required. It seems to be capturing the interest of professional and amateur audiences alike. But, if we analyze its “exciting” and “innovative” new features, we’ll find this drone isn’t all that it’s cracked up to be. Seeing as this product isn’t available for purchase yet, I am simply writing this review based on the information given to us by the Lily website. I have obviously never tested this product, but without ever owning (and from a professional-videographer-of-17-years-experience) I can confidently say I’m not excited about this product at all. Its abilities are widely limited. I can only see two audiences this is good for, an avid surfer or a skateboarder in an open skate park. Thats where I start to see the issues. For one, the Lily doesn’t have obstacle avoidance and it doesn’t come with a remote. This is a huge problem, especially if you’re snowboarding, or hiking in a forest. The drone doesn’t have the ability to detect a tree it’s about to crash into and there is no way for you to maneuver it around that tree because it doesn’t come with a remote. See the problem? Secondly, it doesn’t have a built in gimbal. This means unstable footage of that tree it’s going to run into. Okay, next problem, it only has a battery life of 20 minutes. New scenario, maybe you’re surfing — no trees will disturb you there — you’re surfing along, waiting for that gnarly wave and finally you see it coming at you, its beautiful, so you chase it and suddenly … there goes your 20 minutes of battery life. The Lily floats down defeated, along with your spirits. I’m not a surfer, but I can safely assume 20 minutes is just enough time to barely catch the first wave. So, we’ve discussed it’s basic issues: it has short battery life, it can’t sense anything in its path. Now tell me, how is that functional? Unstable footage and not being able to change a battery that last 20 minutes and takes 2 hours to recharge (that’s an hour and 15 minutes longer than the DJI Phantom 3) for only $500? Sure the Lily is relatively cheaper than other drones on the market, but for its faulty features, you’re better off paying for a different drone or heck, even a new camera. If someone over at Lily happens to stumble on this blog, by all means, I challenge you to prove me wrong. I’m not saying I’m a complete pessimist over this product, I’d like to see this potential product work. There would be fantastic uses for this type of drone in my line of work. I would definitely like to be proved wrong. So show me what you’ve got Lily. I’m curious to see where this goes.